Profile Events have been providing activities for stag and hen parties, corporate events, birthdays, get togethers and fun days out since 2000. We have our own site located in the Pennines conveniently situated between Leeds and Manchester. 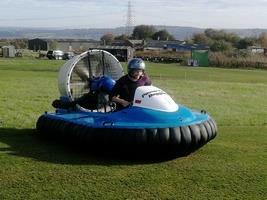 We also own our own equipment ranging from Hovercrafts, off road drift karts, powerturn wheelie buggies, target rifle shooting, archery and bubble football. On arrival you will receive complimentary tea, coffee and biscuits before your activities commence. We are fully insured and our staff are fully experienced instructors. Our aim is to provide you with a fun packed day out you won't forget.